Sony’s new flagship smartphone has been slowly reaching excited consumers with more regions finally getting access to the device. 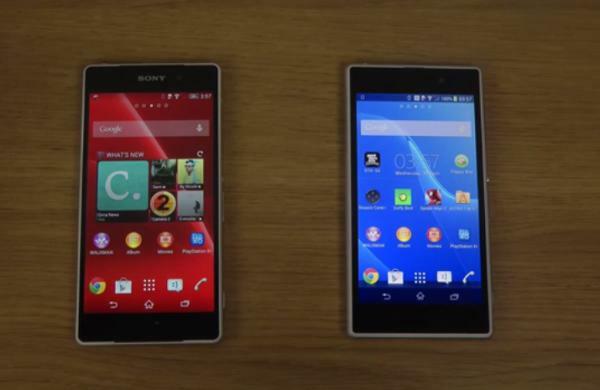 Last year’s model was well received but the company is looking to build on that success even further with the latest version, and today we have a Sony Xperia Z2 vs. Xperia Z1 in a speed test comparison. We have already looked at the two devices and compared the improved audio quality of the latest model, and the upgrade decision owners of the Z1 will be contemplating. Today though we have a short video that is comparing the speed of each device. This YouTube video starts with the user making sure that there is no apps running in the background on each device, and showing which version of Android each handset is currently running. The two handsets are then powered down with a clear winner before being powered back up again, but we won’t spoil the results for you so check out the video and tell us if you are thinking of getting the Sony Xperia Z2 this year. Hard to comment given the diabolical video above! Never mind the mindless swearing! The video guy even complains, “what the f**k am I doing” ….shouldn’t you know, you’re making the video!! Bad effort! !